Word of Honor: How can you defeat failure to live a plentiful and abundant life! How can you defeat failure to live a plentiful and abundant life! According to the power that acts in you! The Bible, which is God’s Word and doesn’t lie, says that, thanks to Jesus Christ, THERE ALREADY IS a Power acting upon you and states that it is according to that power that God can do all things MUCH MORE ABUNDANTLY than what you ask or, even, understand. Amazing! Let’s see how this Power that acts in you is intimately tied to the New Pact in Jesus’ Blood. With the New Pact, God promised to make a total change in your carnal nature, for only like this He would set His Law in your mind and write in your heart. With Jesus’ Blood, God paid ALL your sins, forgave all your wickedness and decided to no longer remember your sins. 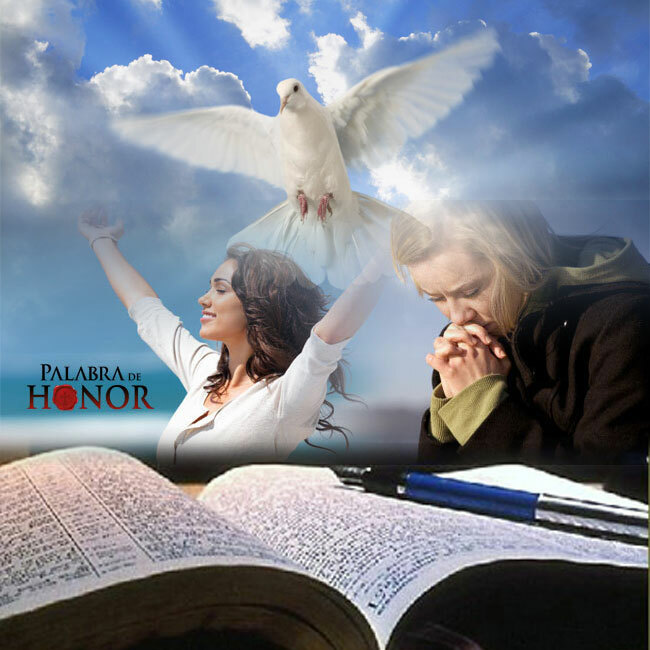 Now, you are God’s Child, Born Again and the glorious Holy Spirit lives in you and with you. The power that acts in you is God’s Word and the Holy Spirit is the promise God made by declaring He would make a better pact established upon better promises. With the power of His Word and the Presence of the Holy Spirit in your life, God made sure there won’t even be the slightest chance to invalidate the New Pact, for He Himself , the Holy Spirit, would be in you and with you as a deposit, the guaranty that He offers the New Pact and it will never be annulated, on the contrary, it will be fulfilled and you will receive ALL that was promised. God’s Power and the Holy Spirit work together for your bennefirt, in you and with you, so you can be a good witness of the Gospel. Jesus is the mediator of this better Pact! You have been sealed with the Holy Spirit of the Promise! So, knowing God’s commandments does not take you away from the claws of sin, because you cannot keep the law and you never will. But God, because of the great Love He feels for you, enforced a different plan. He sent His own Son, Jesus, in a human body just like you in all ways, except He wasn’t a sinner, and by giving Him in sacrifice for your sins, He destroyed the domain sin had upon you. Therefore, if you let yourself be driven by the Holy Spirit and deny obedience to the old sinful nature that was in you, then you can obey God’s law. God’s Plan, through the New Nature that the New Birth gives you, is the Perfect and Infallible Plan guaranteed by the Holy Spirit. Knowing this Word and believing this Word is only possible through the Holy Spirit that is in you and with you. To know this Word and believe this Word is to know Jesus Christ’s Love, which exceeds all knowledge; is to believe and manifest that Power that allows you to be filled with God’s plentitude to Live a Plentiful and Abundant Life. God’s Love for you is such that He preferred to give up His own Son, to pay all your sins, before losing you. Besides, as if this weren’t enough, He placed His Holy Spirit inside you to guaranty you can live a life filled with power and victory. Sólo necesitas creer, creerle a Dios, creerle a Su Palabra, pues al que cree todo le es posible. The New Pact and your New Nature obtained through your New Birth by acknowledging and making Jesus Christ your Lord, King and Savior, is not something you have or can get by your own merits; it is something that He promises in His Word and that by no means he will stop fulfilling. Dear heavenly Father, the more I know you, the more I read and meditate in Your Word, the Bible, the more I wonder and amaze on Your Great Love with which You have loved me. Thank You for having ordained a New Pact in the Blood of Your Son, Jesus Christ. Thank You, Lord Jesus, because with your death you paid all my sins and made me just. Thank You, Father, for having forgiven me and not remembering my sins anymore. Thank You, Lord Jesus, because by resurrecting between the death you established Yourself as God’s First Child, Born Again, showing the path and destined kept for me. Thank you because with Your Blood you sealed the New Pact and now I have a New Hope through my New Birth. Because You now live in me I have Eternal Life, New Life, Plentiful and Abundant Life. Thank you because I have received the adoption of the Son(Daughter) according to the pure affection of Your Will. I am not lost or finished! No! None of that! I am a loved Child of the True and Living God! The Almighty is my Father! By the Blood of the Lamb! By the New Pact! You, Holy Spirit, creator of heaven and earth, of all the visible and the invisible, You are in me and with me. Thank You for so much Love! I am extremely powerful to love you with all my strength, mind and heart, as well as for loving my neighbor as much as I love myself. Therefore, I resist the spirit of fear and disbelief; I resist death, disease, poverty, sadness, depression, loneliness, bitterness, disappointment and sin. I am healthy; I am free; I am prosperous; I call upon my life Love, joy and peace that exceeds all knowledge. I believe, call and receive the plentiful, good and abundant life as my legitimate right and heritage in Jesus Christ. Amen. Etiquetas: How can you defeat failure to live a plentiful and abundant life!